The Granite Challenge Road Race is back on Sunday 14th October 2012, starting at 10am from AMH New Horizons Downpatrick – Ballydugan Road. 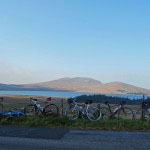 Peaking at Spelga Dam the 60 mile round trip is sure to test all cyclists! For more information contact our Fundraising Manager Gavin gmcconvey@amh.org.uk.